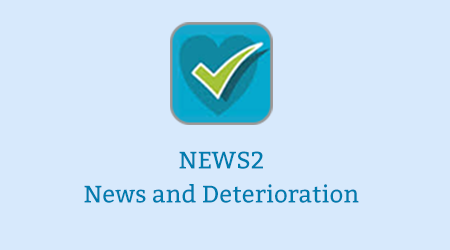 NEWS is a tool developed by the Royal College of Physicians to improve the detection and response to clinical deterioration in adult patients and is a key element of patient safety and improving patient outcomes. The use of this tool in acute and ambulance settings has been endorsed by NHS England and NHS Improvement. A range of resources are available to support the workforce and organisations in ensuring staff are competent to the recognition and management of deterioration in patients. A film that explains why the National Early Warning Score was developed; how it can be used to identify acute deterioration, including sepsis and the benefits of a standardised early warning system. A patient safety film tells the story of Paul from North Somerset, who made a quick and full recovery from sepsis as a result of NEWS (the National Early Warning Score) being communicated at every handover of care. A learning session for medical staff in secondary care settings which can be incorporated into Foundation Year 1 Doctors’ training (in development). A learning session for healthcare assistants and nurses (in development). A learning session for healthcare staff working in community settings (planned).